Imagine yourself ten years from now. Think about your relationships, your family, your career–really try to create a vivid image of what your future may look like. What do you see? 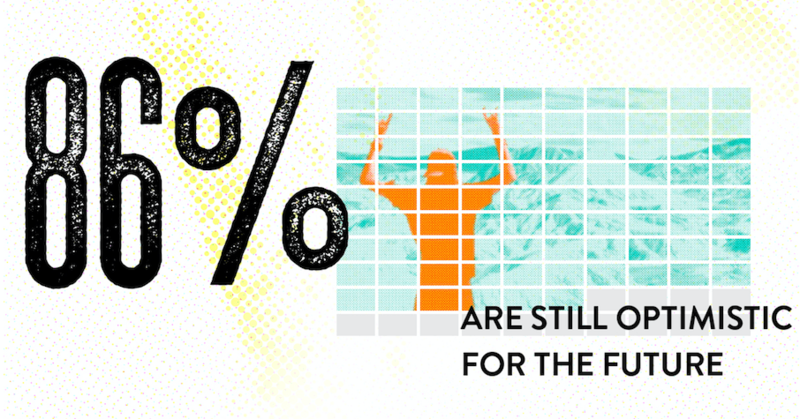 When you ask people to imagine their future the vast majority generate positive images. Most of us automatically envision happiness, health, love, and success. It turns out that as a species we are quite optimistic. We believe our future will be better than the past and present, and this sense of optimism keeps us moving forward. Indeed, in a recent survey of approximately 3,000 Americans, which was conducted by Life Is Good, 86 percent of responders said that they were optimistic about their future. And yet, only 46 percent felt positive about the state of the world. This is a common pattern. Survey after survey shows that people tend to be optimistic about their own fate, but at the same time somewhat pessimistic about the future of their country. I often refer to this phenomenon as “private optimism versus public despair.” One explanation for this dichotomy is a difference in the sense of control we have over private and public events. We feel we have control over our future and so we believe we can steer the wheel in the right direction. Thus, we expect good things ahead. However, we do not have a sense of control over where our country is heading or where our leaders are taking us. As a result, we do not feel optimistic about those issues. Without a sense of agency it is difficult to be optimistic. The second obstacle to optimism is stress. People who reported greater stress levels were less likely to identify as optimists. In a recent study, my colleagues and I showed that if you cause people to feel stressed they will immediately become hypervigilant to negative news and, as a result, optimism will decrease. Which factors, then, are associated with greater optimism? The survey shows that people who exercise and those with stronger social support tend to be more optimistic. When I say “social support,” I mean the type that comes from face-to-face interaction. Use of social media was negatively related to optimism. 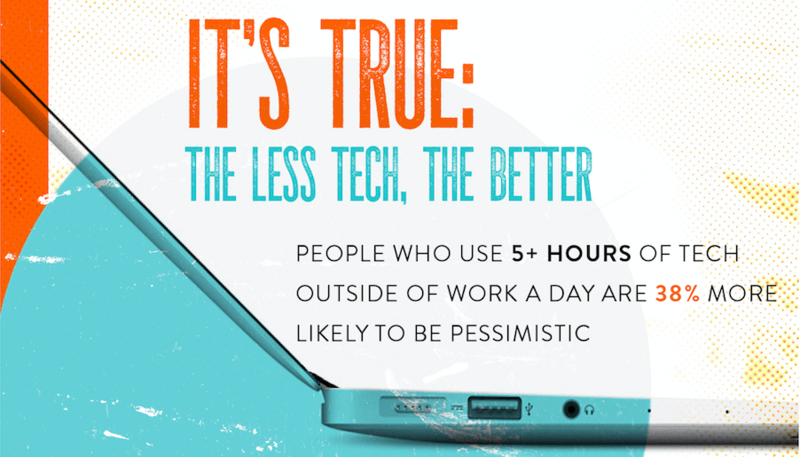 Those individuals who spent less than an hour on social media a day were the most optimistic. In addition, money mattered, but only to an extent: The more money people made, the more optimistic they were, but only up to $200K a year. Individuals who made more than $200K saw a drop in optimism. These results are consistent with the patterns we often observe when measuring happiness. Happiness, too, is associated with lower stress, regular exercise, strong social bonds, less screen time, and greater income—but only to a degree. It is not surprising that happiness and optimism are tightly intertwined. This is because happiness is dependent on what we expect our future to look like. If we expect pain and anguish tomorrow, we find it difficult to be happy today, as anxiety takes over. However, if we expect the future to be bright, we fill with anticipation of the good things ahead and become happier at the moment. Cultivating an optimistic view of your tomorrow is likely to leave you happier today.